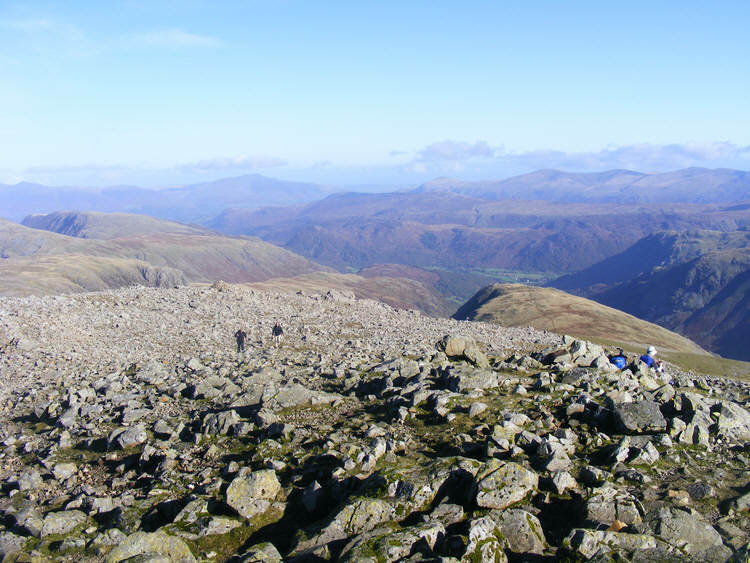 Here we see the view north-east from the summit of Great Gable looking towards Borrowdale. The small areas of green seen in the centre of the picture are around Rosthwaite. Green Gable is hidden by the summit plateau here, so the fell in the foreground of the view os Base Brown. The crags to the far left are on High Spy.